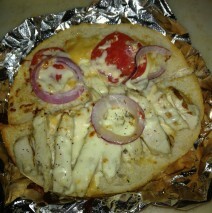 Turkey, pepperjack cheese, tomatoes, onion, on fresh baked hoagie bread. 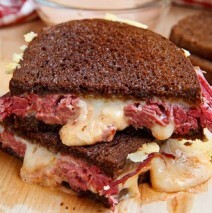 Cornbeef, swiss cheese, sourkraut, thousand island dressing, on rye bread. 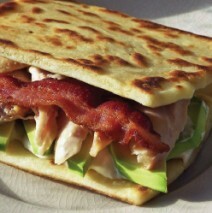 Chicken topped with mozzarella, onions, tomatoes & chipotle mayo on focaccia. Chips come with this order. Another of our popular subs, 1/2 lbs. 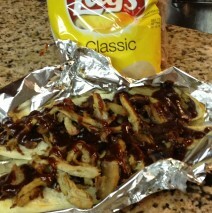 of low & slow pulled pork drizzled in Missouri’s favorite BBQ sauce caramelized together in our brick oven. Chips come with this order. 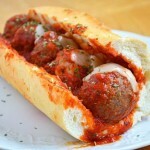 Beef meatballs w/ pepperjack cheese, marinara sauce, onions, green peppers, on fresh baked hoagie bread. Chips come with this order.